Norway’s Petter Solberg set the quickest race-time of the weekend to win Q4 at Holjes in Sweden, round seven of the FIA World Rallycross Championship. Solberg’s result means he moved to second in the Intermediate Classification and will start on pole position for semi-final two this afternoon, pole position for semi-final one being secured by his team mate, Johan Kristoffersson, who was second quickest in Q4. Team Peugeot-Hansen drivers, France’s Sebastien Loeb and Sweden’s Timmy Hansen, were third and fourth in Q4. Loeb will join Kristoffersson on the front row of the grid for semi-final one and Andreas Bakkerud will start alongside Petter Solberg at the front of semi-final two, even though the 2016 Holjes winner jumped the start in Q4 and was penalised by having to take two joker laps. Hansen and Finland’s Niclas Gronholm will start on row two of semi-final one, with America’s Ken Block setting 12th quickest time in Q4 to make it into the semi-finals and will start on row three in semi one, together with Russia’s Timur Timerzyanov. 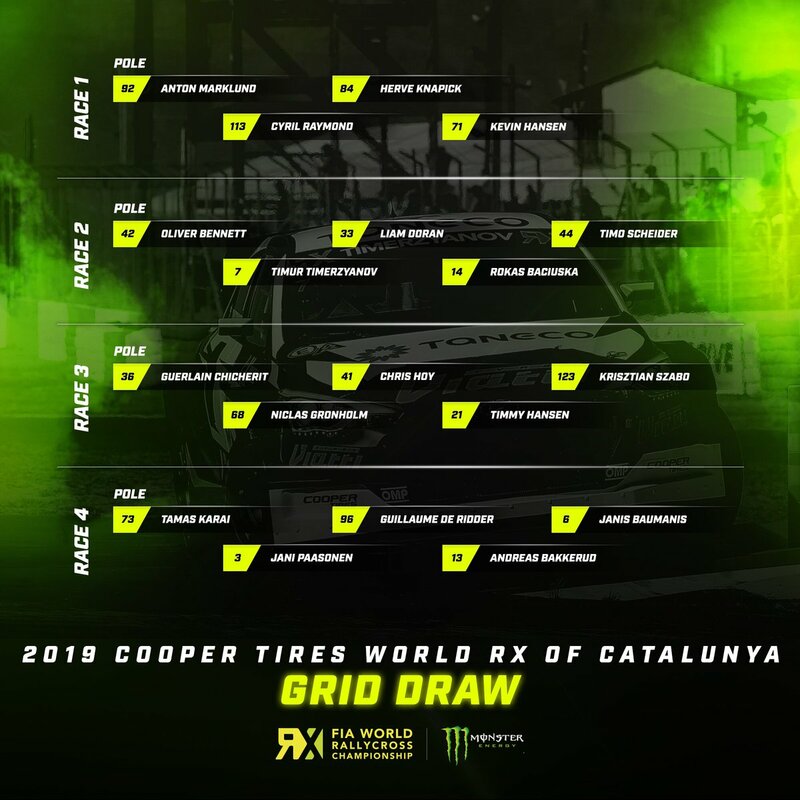 On the grid for semi-final two, Sweden’s Kevin Eriksson and Latvia’s Janis Baumanis will start on the second row, with Germany’s Timo Schieder and Sweden’s Sebastian Eriksson starting on row three. Kevin Hansen will be first reserve for the semi-finals, the European Rallycross Champion finishing 13th in the Intermediate Classification.